Megan: 5 Great Gratitude Games! Calli: When 2+2 Doesn't Equal 4! Megan: "Taste of Broadway" and Guilt-Free Goodies! Sharon: Food Figuring Guide, How Much is Enough? 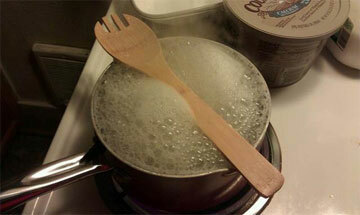 Put wooden spoon across boiling pot of water to keep from boiling over.